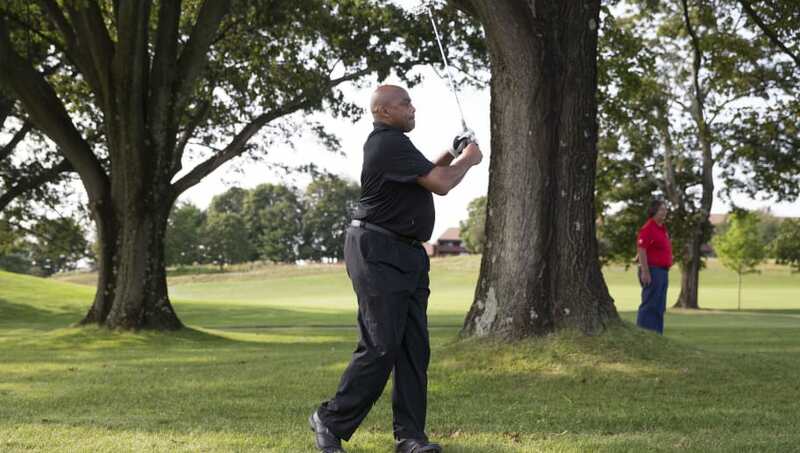 ​Despite being one of the best athletes to ever live, Charles Barkley just can not seem to figure out how to hit a golf ball. The NBA legend's swing has become etched in the memory of golfers everywhere as the worst imaginable, yet Chuck seems to see things differently. ​​While watching Tiger Woods and Phil Mickelson square off on the day after Thanksgiving, the Hall of Famer was reportedly caught saying, "these guys are terrible, I can beat them." Clearly Barkley is just kidding around, but based on ​how his swing is looking, Chuck is in no position to joke. "This is some crappy golf"
​​I don't think that I could fashion a worse swing even if I tried, but somehow this is Barkley's norm. ​​The irony of Barkley calling Woods and Mickelson's play bad is obvious, but the comment is also revealing. For​ all of the hype that came leading up to "the match," the output has been less than stellar. Neither man has been playing particularly well, but hopefully they can turn it around soon and keep audiences interested.